Do you utilise your Sage 200 system as best as you can? Did you know the different ways available? 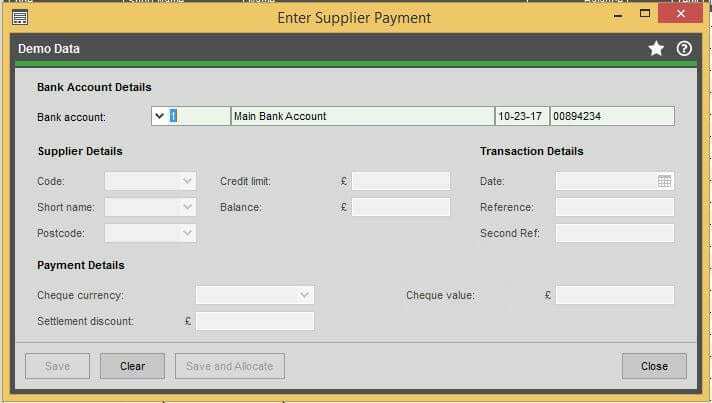 Do you Process Payments using Sage 200? This simply posts the payment Transaction on the Suppliers account and on the Cashbook account. Showing the double entry of a debit to the Creditors Control (reducing the liability of amount owing) Nominal and a Credit to your Bank account nominal (reducing the amount in your bank account), however, you will still need to post an allocation to allocate the payment against the associated invoice. Here you can enter a supplier account and see all outstanding invoices, select the relevant invoices you want to pay with the amounts in the payment column and select ‘Pay Now‘. This will both Post the payment as above on the supplier account etc, however this will post an allocation also onto the transaction you entered the payment amounts against. This takes us through the full 5 step process, helping you streamline your processes. 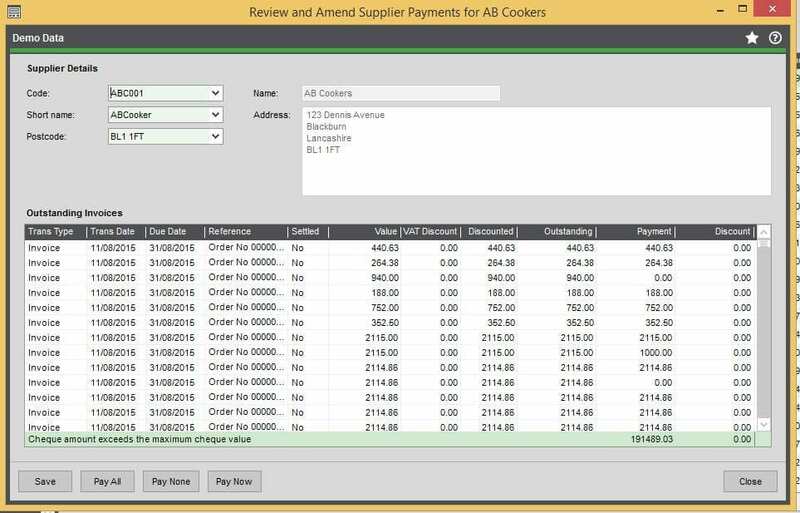 Each menu item will take you through the Steps of Processing Payments for all outstanding and transactions that are due. The system will now look through all invoice and credit note transactions against supplier accounts and consolidate all together based on their ‘due date’ to produce a report. This will give you best visibility of all transactions currently on the payment run. This allows you to generate payments based on the current transactions on the report of suggested payments. 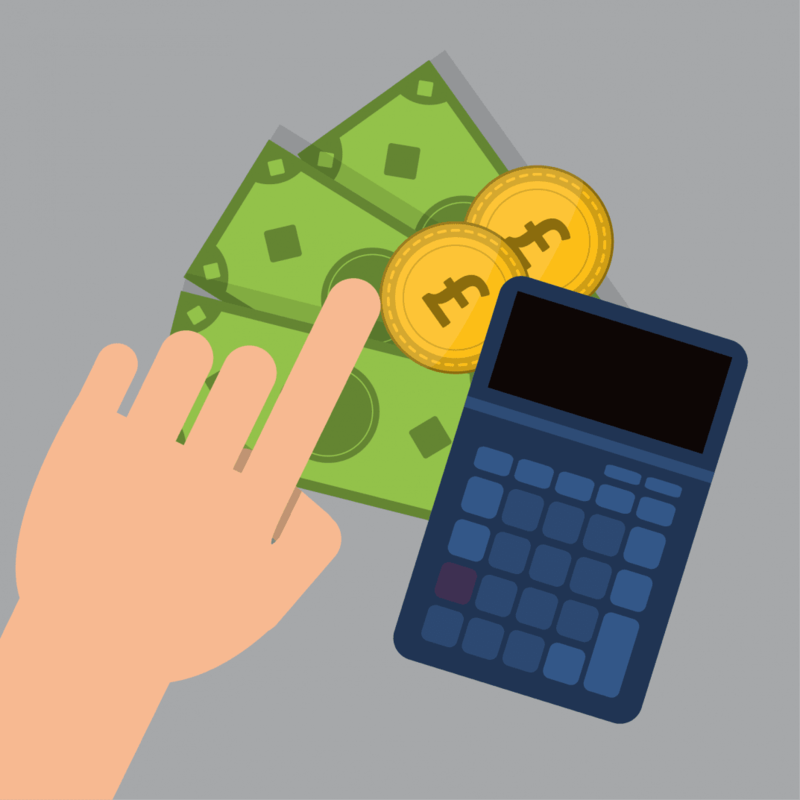 When using this function you can either specify to pay a single supplier or use the option to pay multiple suppliers. This will then allow you to pay the suppliers based on payment group. 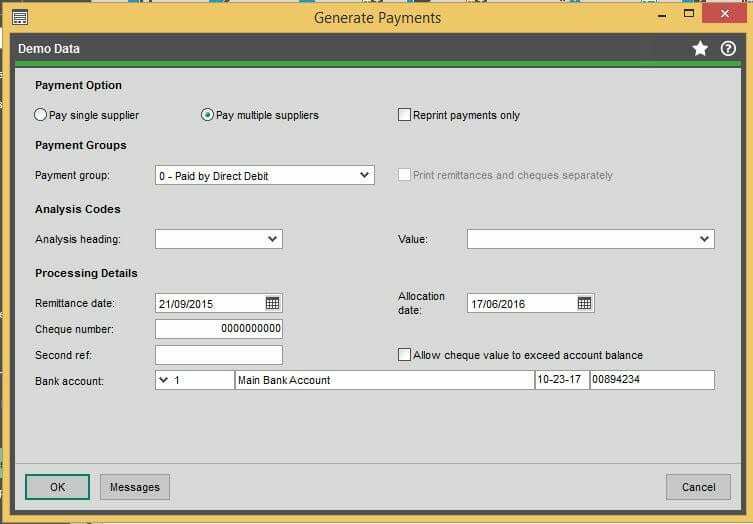 The Generate Payment function will produce whatever you have specified as a payment document against your payment group- whether it be a remittance advice, e-banking file or both. It will also update the supplier with the payment providing that the ‘update‘ tick box is selected on the payment group. 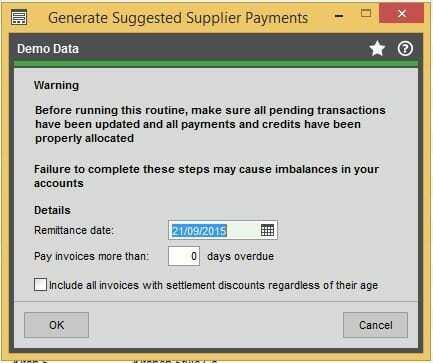 And also allocate the payments against the relevant supplier transactions based on your suggested payments. You do not necessarily need to do this step, as if you run step one again it will bring up a message for you asking you to confirm that you would like to overwrite the existing suggested payment. 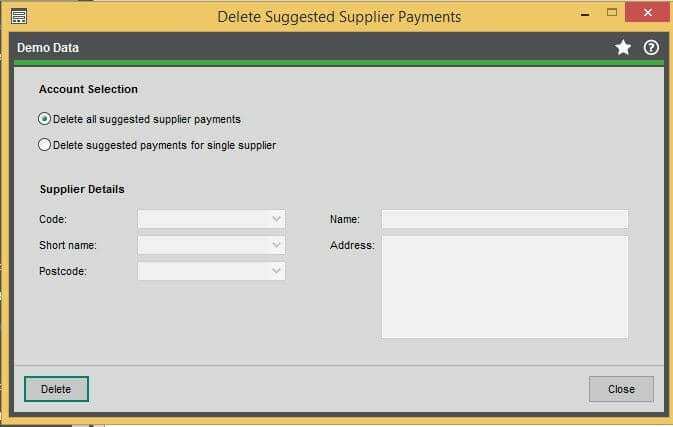 However if you wish to complete your five step process then just select delete suggested payment and choose between deleting the suggested payments for just one supplier or for all. Hopefully this blog will of helped you and changed the way you use your Sage 200 systems! Have you learnt anything from reading this blog? Do you think you would like to learn more about the day to day uses for Sage 200?